For the next selection on the highlife turntable, I have selected the track OgBeingbene Special by Professor I.K. Belemu from his Felix Record release Ogbeingbene Special. The owigiri dance originated in 1985 through a particular music composed by a foremost Izon musician in Bayelsa State in Nigeria called I. K. Belemu. Although, I. K. Belemu did not invent the owigiri dance style, his song, which was responsible for the creation was more of call to dance. 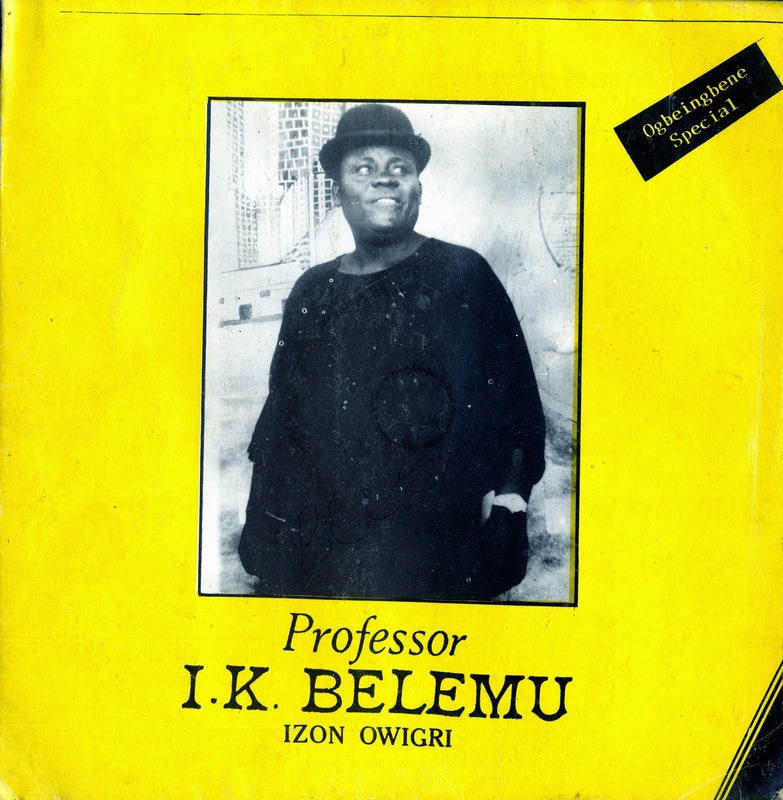 The Late Professor I. K. Belemu is the founder and orginator of Ijaw Owigiri highlife music and that IK was playing more of a dance hall owigiri, while King Robert Ebizimor (another popular Ijaw singer) combined both dance hall music and philosophical songs. The upbeat vocals and tight guitar playing certainly create a very dance able sound. Check out the way Professor Belemu's vocals open up the song and the fluidity of the rhythm section throughout the song. I hope you like. I am sorry it has been so long since I posted anything new, but I spent the summer upgrading my rig and am finally beginning to record again. I'll be posting some more music shortly. Thanks, it's good to see you back! Also, can you post his recordings of the 70's if you have them? I was not aware he was active in the 70's. Do you have the names of a few LPs? Can you upload side A?